Many of the world’s largest companies trust Dan to litigate complex commercial cases in trial and appellate courts throughout the United States. Dan has prosecuted and defended claims involving breach of contract, negligence, fraud, conspiracy, price discrimination, securities, trade secret misappropriation, and distribution-law regulatory statutes (among other things). Dan focuses his practice on three of Barack Ferrazzano’s core practice areas: financial institutions, real estate, and manufacturing and distribution. In each of these areas, Barack Ferrazzano has earned recognition as a full-service, national provider of legal services. Dan is also a skilled appellate litigator who (across practice areas) has handled matters in state appellate courts, the United States Courts of Appeals, and the United States Supreme Court. In addition to representing clients in active litigation, a significant portion of Dan’s practice involves strategic counseling—navigating complex regulatory regimes; working to resolve matters without the need for litigation; and positioning burgeoning disputes so that litigation, if it does prove necessary, unfolds on favorable terms. Represented investment fund in a suit against a Native American tribe and those who helped to facilitate a legally defective $50 million bond transaction. 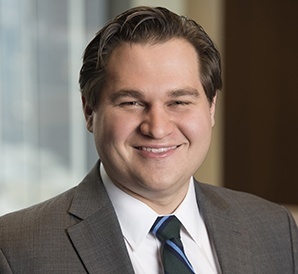 Dan’s clients prevailed on jurisdiction and sovereign immunity issues, a ruling that was affirmed by the Seventh Circuit and which positioned the case for a favorable private resolution. Stifel, Nicolaus & Co. v. Lac du Flambeau Band of Lake Superior Chippewa Indians, 807 F.3d 184 (7th Cir. 2015). Defended bank holding company from allegations of negligence, breach of contract, and breach of fiduciary duty. The plaintiffs, several closely held corporations and their officers, alleged that multiple insurers and financial institutions should have detected a $52 million embezzlement scheme that was carried out by certain of the plaintiffs’ employees. Dan’s clients prevailed in the trial court, intermediate appellate court, and the state supreme court. Affiliated Health Grp., Ltd. v. Northern Trust Corp., 2017 IL App (1st) 160632-U, petition for leave to appeal denied, 2017 WL 5638298 (Table). Represented multiple Real Estate Investment Trusts, their officers, and affiliated companies from counterclaims alleging fraud and breach of contract. The other side maintained that it entered into dozens of lease transactions only because of misleading financial information that was allegedly provided by Dan’s clients. The counterclaims were dismissed by the trial court at the motion-to-dismiss phase. CCP Mustang Holdings LLC v. Orand, 2017 WL 3531491 (N.D. Ill. Aug. 17, 2017) (granting motions to dismiss and to strike affirmative defenses). Defended automobile manufacturer from allegations that it unlawfully required a new car dealer to construct a multi-million dollar showroom in exchange for reduced wholesale automobile prices. The new car dealer maintained that the manufacturer’s conduct effectively forced the dealer to sell its automobile franchise at a steep discount, leading to several millions of dollars in damages. The trial court granted summary judgment on the majority of the claims, and the parties were then able to negotiate a private resolution. Len Stoler, Inc. v. Volkswagen Grp. of Am., Inc., 232 F. Supp. 3d 813 (E.D. Va. 2017). Counseled a Fortune 500 manufacturer of industrial products in implementing an online sales and distribution platform for one of its operating companies. The engagement involved crafting program rules and counseling on matters related to antitrust, state distribution statutes, and privacy laws. Dan’s experience in appellate litigation spans the coasts and has involved myriad substantive areas of law. In addition to his work on behalf of commercial clients, Dan is particularly proud of his work representing a group of social workers who counsel victims of child abuse. Dan was the principal draftsperson of a Supreme Court amicus brief on behalf of the social workers, in a case that at once furthered the interests of child-abuse victims and helped to articulate the contours of the Eighth Amendment’s prohibition on cruel and unusual punishment. The brief was extensively cited and relied upon by the Court’s majority. Kennedy v. Louisiana, 554 U.S. 407 (2008). Dan lives in Chicago’s western suburbs with his wife, two daughters, and a rapidly mellowing Labrador named Lucy. He currently serves as Chair of the Firm’s Recruiting Committee. Mandatory Initial Discovery: Just, Speedy, and Inexpensive or Nasty, Brutish, and Short? "Defining the Appellate Universe: Does FRCP 52(b) Impose a Duty on Litigants?,"